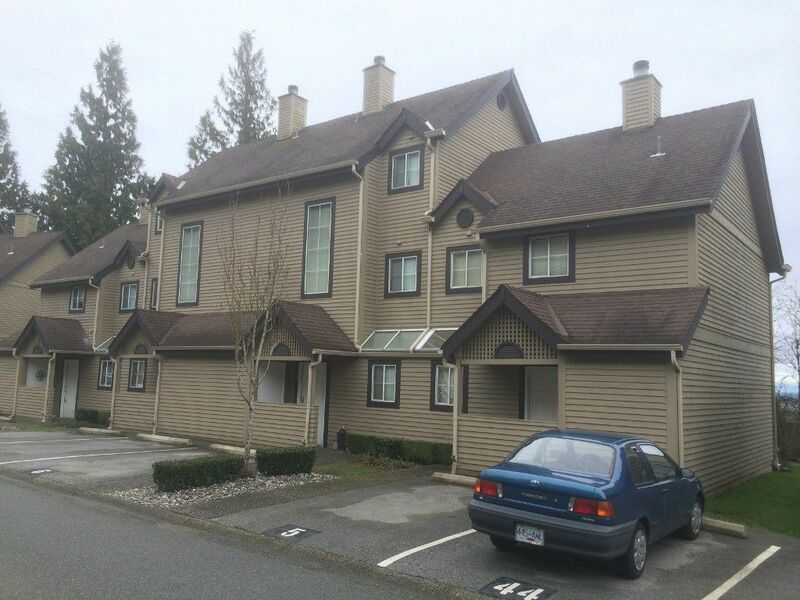 Welcome to an affordable three bedroom town home in Coquitlam East. The main floor has loads of daylight, access to a small rear yard and patio. Perfect for a pet owner! A feature wood burning fireplace and new chiseled and distressed engineered hardwood floors. This open main floor plan offers a generous pass through from the kitchen to a large breakfast bar and dining room. 2nd level has two bedrooms and a full bath. 3rd level has the private master bedroom with huge walk in closet with storage. Another full bath acts as an ensuite off of the generous landing with open den area and laundry. Stunning views of coastal mountains and Mnt. Baker from every level of this home. Transportation and shopping are an easy walk from this address. Visit and call this affordable property "home"!